 We are a Weddings and Events house…. of experienced planners and stylists, offering planned events, exquisitely styled, that are chic, stylish and innovative – designed to create memorable moments. We give access to over 20 years of experience in designing and planning weddings and events. We offer a seamless experience, with our impeccable client service and organization skills, ensuring every aspect of your wedding or event is attended to. We cater to all themes from vintage, classic, modern, chic, boho or a theme that is distinctively yours making sure all your needs are met. Based in Auckland, we are ready to create events throughout New Zealand, Australia and overseas. Whether you are visiting our site with your own wedding or any celebration in mind, we hope you find our site informative and inspiring. So give us a call, as we would love to hear from you and let’s begin weaving a magical awe inspiring celebration!